Is your child struggling to sleep because of a stuffy nose that just won’t go away? Is play time interrupted by sneezing or wheezing? They might be suffering from allergies. Especially in the spring or summer, allergy symptoms can make a sudden and unwelcome appearance in the life of your family, making it harder for your kids to sleep, play, or function at all. Watching them suffer can be difficult, but fortunately, there are a few ways you might be able to alleviate their symptoms, and the Pediatric Associates of Northern Colorado are here to help your family breathe easily again. 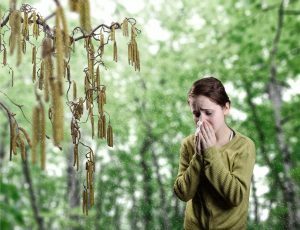 The first step to battling allergies is understanding them. In part one of this series, we will walk you through the symptoms and causes of allergies. If you think your child is suffering from allergies, your next step is to schedule an appointment with your pediatrician. 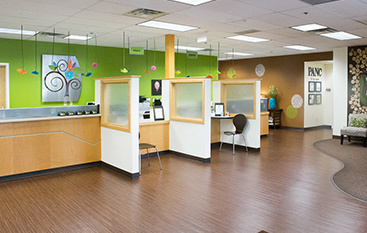 Your child’s doctor can help you determine what allergies your child might have through allergy tests and together you can make a plan for managing those allergies. Keep reading to learn more and then call the Pediatric Associates of Northern Colorado to make your appointment! Your body works hard to keep you safe and healthy, but sometimes it works a little too hard. Allergies occur when your body identifies an ordinary substance like peanut butter as a dangerous invader. Your immune system will kick in to fight the substance and can trigger a variety of reactions, which we will cover later in this article. The substances your body considers foreign invaders are what we refer to as allergens. Allergens can run the gamut of pollen and dust mites to milk and cheese, and the strategy for addressing them can be different depending on the situation. Many of the symptoms overlap with the symptoms of a common cold, which can make it hard to determine how you can best help your child feel better. There are also a few distinctions of cold symptoms that can help you decide. 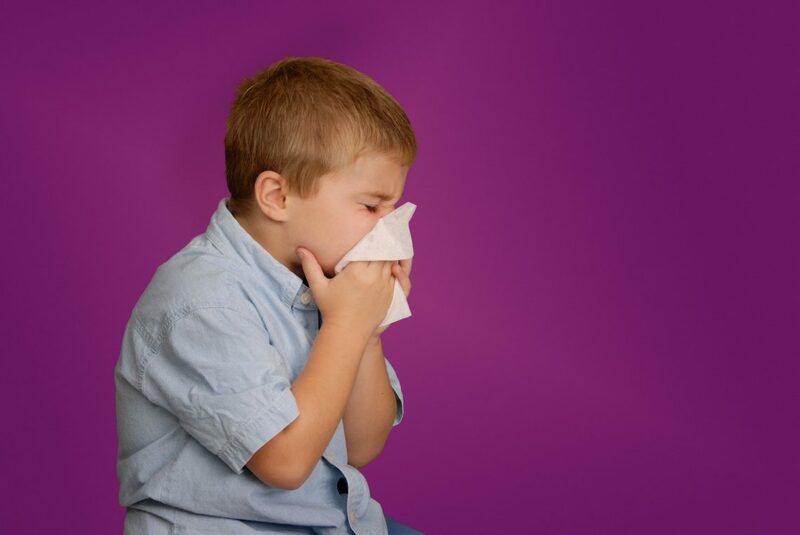 For example, your child might be suffering from a cold if the discharge from their nose is green or yellow, their cough is accompanied by mucus, or they are experiencing other symptoms not on this list, such as a fever. Your pediatrician can help you determine the difference and decide on the best course of action. If your child is experiencing any of those symptoms, visit a doctor immediately. This is not an exhaustive list by any means, so use your best judgement. After all, it’s better to be safe than sorry. Most kinds of allergies will fall into one of two general categories. Narrowing down the type of allergy your child is suffering from is the first step in fighting their miserable symptoms. Seasonal allergies are the most common form of allergies among children. Symptoms are triggered as the seasons change, typically in the spring or summer when plants start to bloom and release pollen. Symptoms of seasonal allergies often come on suddenly and linger for several weeks. That is another way to distinguish sneezing or a runny nose caused by seasonal allergies from symptoms caused by the common cold virus. There may be something in your life all year round that your child’s body treats as foreign and dangerous. Those allergens can include everything from milk and dairy in their food to pet dander or specific insects. These symptoms don’t necessarily appear on a monthly schedule and can be harder to pinpoint. Symptoms range from hives or swelling to nausea, vomiting, and diarrhea. Your child may even experience fainting spells, headaches, or irritability that stem from their body’s immune system response. If the symptoms persist, carefully monitor what they eat and interact with to narrow down the possible triggering allergens. 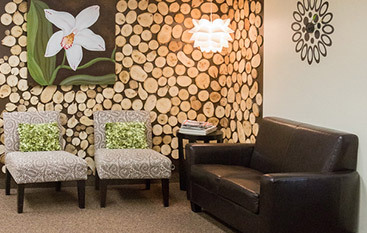 You can also ask for an allergy skin test at your doctor’s office. The best way to address your child’s discomfort is to take note of their symptoms and the situations in which they present and let a professional make a diagnosis. Your pediatrician can determine whether or not your child’s symptoms are actual allergies and help you decide on a course of action to help them feel better, whatever the situation may be. 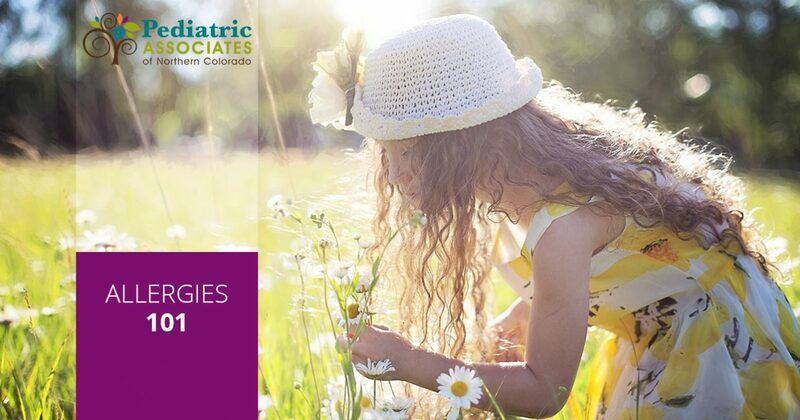 The Pediatric Associates of Northern Colorado can provide allergy tests, which won’t address food allergies, but can help identify any environmental allergens your child’s immune system has labeled as hostile. Look for advice on addressing or reducing your child’s allergies through strategies like cleaning or immunotherapy in part two of this series and make an appointment with your child’s doctor today! 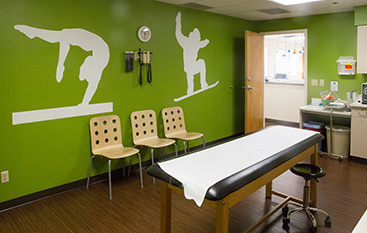 If you are looking for a clinic dedicated to pediatrics in the Fort Collins area, the Pediatric Associates of Northern Colorado are currently accepting new patients. 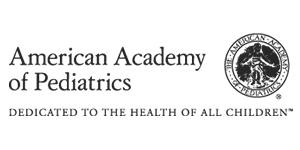 Explore our new patient portal today to see what paperwork you may need and schedule a free “meet the doctor” visit today! We can’t wait to be your partners in health.